This book is written for the finder, family and local historian of Kent. 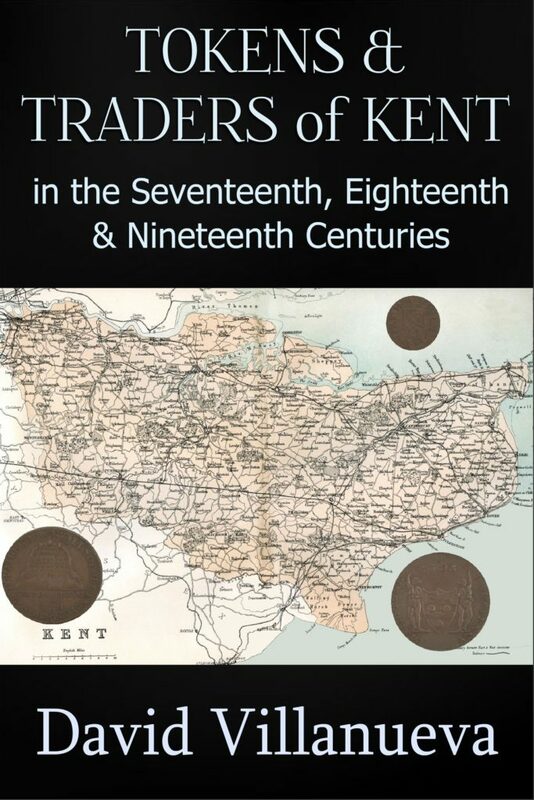 It catalogues all Kent token details available including all genealogical and local information recorded in earlier books (details of some taverns, inns, and hotels have been updated). In all some 600 recorded seventeenth and around 50 eighteenth and nineteenth century Kent tokens are included, many of which are illustrated. Coins traditionally contained the value of the metal they were made from, less a nominal amount for the monarch and mint master and could only be produced by Royal decree. By the sixteenth century the penny and its fractions had been reduced in size by inflation becoming inconveniently small to manufacture and use. The general population resorted to using token coins containing less than their intrinsic value of metal until the monarch provided sufficient usable coinage for the needs of trade. Trade tokens were issued in three distinct periods, the first during the seventeenth century, 1648-1672. The second in the eighteenth century, 1787-1801 and finally the nineteenth century, 1811-15. As well as being collectable, like coins, tokens issued by tradesmen contain personal information such as name, location, trade and even spouse’s forename initial in many cases and will be of interest to genealogists as well as family and local historians. Metal detectorists are a large group of regular finders of these tokens, who will also be looking for a means of identifying their metal detecting finds. A number of eminent numismatists (including Atkins, Boyne, Conder, Dalton, Davis, Dickinson, Hamer, Pye and Williamson) have studied these tokens and produced extensive catalogues, generally covering the whole of a series. Until now the only solution to identification was to wade through these catalogues. The asking price for any of these catalogues, new or used, can be upwards of £50 per volume. These catalogues can be borrowed free from the Library but there are few copies in circulation and waiting times can be lengthy. Many of the catalogues were compiled in the 19th and early 20th centuries so some have been scanned and are available online. The problem with scanning old texts is that the scanner has no real comprehension of what is written and so records what it perceives and the result can be gobbledegook! A further problem is that genealogical information and full token details have been abandoned in more recent catalogues to keep the printing costs and cover price down. This serves the collector well but disadvantages not only the family and local historian but also the finder of excavated tokens where only parts of the detail may be visible. The nature of tokens is that they circulated very near to their place of issue so that the merchant concerned could exchange or redeem them for regal coins. While 18th and 19th century tokens did travel far and wide, especially those redeemable in several major cities, they remained common in their home county. Seventeenth century tokens, those of London excepted, generally only circulated within a seven mile radius of their place of issue. Seven miles was the typical distance between markets where the tokens would have been accepted. 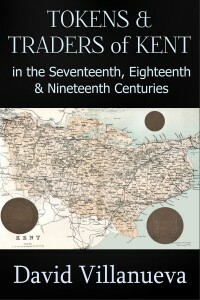 This book is written for the casual finder, family and local historian of Kent. It catalogues all Kent token details available including all genealogical and local information recorded in earlier tomes (details of several taverns, inns, public houses and hotels have been updated). In all some 600 recorded seventeenth and around 50 eighteenth and nineteenth century Kent tokens are included, many of which are illustrated. An illustrated section on popular token designs aids identification but the layout enables you to scan very quickly through the listings. If you find a token that has been excavated, it may not be completely legible. Using what you can see you will usually very quickly track the token down . You can scan for any string of letters or numbers, design, quantities of lines, shape, unusual metal, value, etc. and providing it is a Kent token, I am confident you will find it!